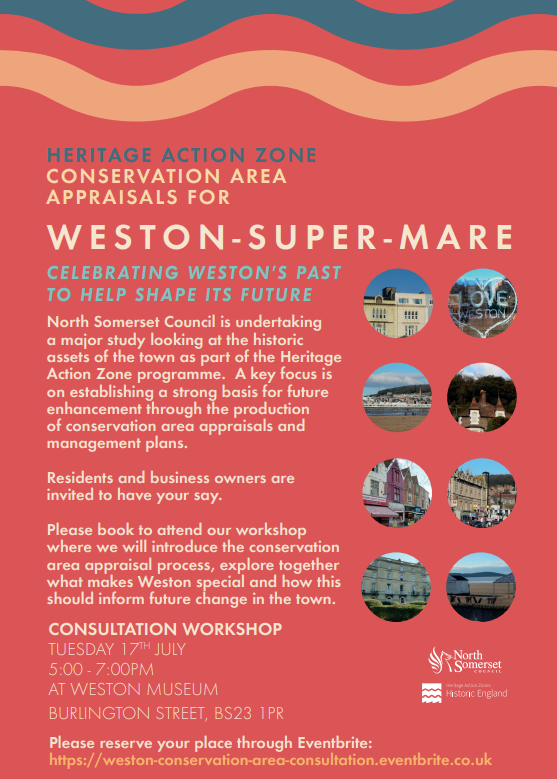 North Somerset Council is embarking on new public consultation on the future of conservation areas in Weston-super-Mare. The next event is being held on 17th July from 5pm-7pm at Weston Museum. The council would like residents and businesses in Weston to consider attending the event.